Bundling will be the next big Fintech topic after unbundling and platformization. Just as consumers got used to buying different food items at one single supermarket long time ago, they will expect one-stop-shops for financial services. Those “bundlers” that manage to seamlessly offer cost-efficient and dynamic bundles are well poised for success in this next race in the Fintech arena. Some important lessons can be learned from previous bundling attempts, such as Deutsche Bank’s “Moneyshelf”. In 2002 Deutsche Bank started an immensely ambitious e-commerce project. The objective of the project by the name of „Moneyshelf“ was to establish a financial super market. The goal was to create a one stop shop for virtually any financial product a retail client could wish for – across any provider existing. The underlying idea was to provide off the shelf financial products from any makers and brands. The reasoning behind it was that consumers would also frequent supermarkets to conveniently buy various products across brands and manufacturers. A modern consumer would visit a single supermarket to purchase bread, sausages, apples, beverages, canned food and cleaning liquid. He or she would no longer go through the ordeal of visiting a bakery to buy bread, a butcher to shop for sausages, a local market to get some apples and then drop by yet another store to buy beverages and food before visiting the local drug store to buy cleaning liquid. In order to use such a financial supermarket the client was requested to deposit his access information to any other banking service with the Moneyshelf platform. Moneyshelf would then let the client consolidate and manage all of his or her accounts in one highly user-friendly frontend. In the background online banking interfaces programmed by Deutsche Bank developers would ensure the interoperability. Moneyshelf promised a quantum leap in transparency and price efficiency. A client who would have a securities account with bank A and be invested in mutual funds from fund provider B could then not only shop for a more cost-efficient securities account, but also a better performing and less costly mutual fund und would only be a mouse click away. All of this was paired with features such as personal financial planners which offered insights on the clients’ spending and financial behavior and a rich offering of financial information and possibilities of analysis. Moneyshelf as it was envisioned by Deutsche Bank was offering the client a tremendously versatile platform to choose among a vast range of providers and products such as current and savings accounts, mutual funds, brokerage services, mortgages, even life insurances. Deutsche Bank sensed that clients would become more tech savvy and consider the threat to be very real that Deutsche Bank may soon be disintermediated as far as their retail segment was concerned. With the emergence of online brokers and their strong growth Deutsche Bank feared of getting skinned and decided to take the bull by the horns. Hence, should a client decide to do business with a different bank, then Deutsche Bank would make sure that it would at least get a share of those revenue streams bypassing them. In the end this business model failed big time. The other banks, especially the rather dominant German savings banks warned their clients that it would be a violation of their contractual obligations to deposit account access information with any third party, including Moneyshelf. The savings banks maintained that they would not only refuse any liability in case of fraud, but that they would reserve the right to cancel the banking relationship with the client altogether should he or she access the account via Moneyshelf. 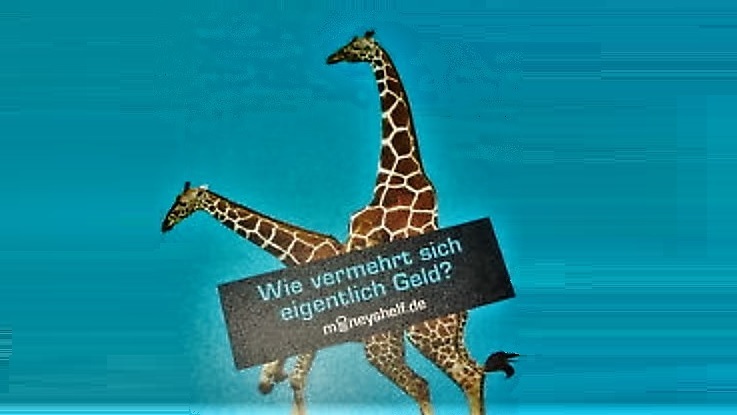 Moreover the marketing campaign for Moneyshelf which depicted procreating animals was not very appealing to a largely conservative German retail banking segment. Yet, Deutsche Bank got something right: the topic of bundling. As much as Fintech is about unbundling of banking services, a convenience loving customer does not want to sign up with Fintech Firm A to buy DJI stocks, with Fintech company B to convert some FX and with Fintech enterprise C to set up a financial plan. The levels of user experience and thus user expectations have never been higher than today. Hence, the emancipated banking client of nowadays would expect all of these services offered by one single provider and being accessible via one user interface (UI). Banking platforms such as N26, Moven, Bankin’ and Simple prove that the theme of bundling is highly topical as they oftentimes put together the services of a range of Fintech firms and offer them seamlessly through one UI. However, the future of bundling will be much more sophisticated than that. Clients will expect not only expect cost-efficient but dynamic bundles. For instance, whereas payment provider A may be ideal for one money transfer from country X to country Y, it maybe payment provider B for the next transaction. Clients will not care which contractual obligations the platform is tied to, but the customer will expect the most cost-efficient Fintech firm to take over the task at hand. The same goes for stock brokerage or financial planning. The client will rightly demand to execute via the most cost-efficient broker and to set-up the financial plan with that one Fintech firm he or she sees most suitable. It will be the task of the platform owner or “bundle”, to tap into the Fintech eco-system to always find the most suitable service provider. The bundler must to put together these services for the consumer seamlessly and in a highly transparent fashion. The race for the best bundler will be open to Fintech firms and incumbent banks alike. This time, however, banks will no longer have a head-start for two reasons: first, a range of highly professional financial data aggregators such as eWise exist nowadays which can provide the necessary services off-the-shelf. Secondly an overhaul of EU legislation will update the rights and responsibilities of account information service providers, permitting intermediaries to obtain the account access information from clients. This change in legislation will come into effect in 2018 and it will be the starter’s gun for a European bundlers’ race in financial services.